NIFT Cut Off 2020: Candidates have to qualify the cut off marks of NIFT Examination so that they can get the call for next stage. NIFT Cut Off Mark for different programmes will be different. Without clearing NIFT 2020 Cut Off, no candidate can apply for admission. After completion of the examination, the concerned authority will release cut off marks at NIFT official website. Check NIFT Previous Year Cut Off which is available on this page for the reference of the candidates. The total number of seats available for admission. The number of candidates appearing in the examination. Rank of the candidates will be based on the NIFT Cut Off Marks. Candidates scoring highest marks will get top rank and those who will score the lowest marks will get the lowest rank. 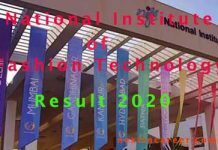 Candidates applying for admission in Fashion Technology programme have to qualify NIFT 2020 B.F.Tech Cut Off or NIFT M.F.Tech Cut Off 2020 respectively. Those who will apply for admission in Design programme have to qualify NIFT B.Des Cut Off Marks or NIFT M.Des Cut Off respectively. The closing rank of NIFT will release as per the availability of the seats in college. 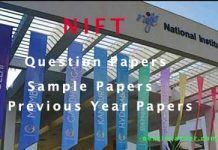 It is important to have a look at NIFT 2018 Cut Off, NIFT Cut Off Marks 2017. It is because the previous year cut off marks of NIFT will give an idea of the marks required to pass the exam. So, it is advised to all candidates who will sit for the exam to refer NIFT Last Year Cut Off before starting preparation. Here, in this section candidates can check NIFT Previous Year Cut Off. Candidates can check College Wise Cut Off Marks Of NIFT in this section. NIFT Cut Off college wise varies from college to college. For further details on NIFT College Wise Cut Off refer to the table available below.